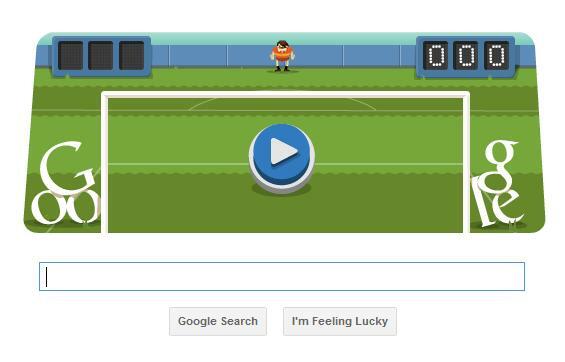 Google Olympics Football/Soccer Doodle Game - Play! For the fourth day in a row, Google has come up with interactive and playable Olympics special Doodles.The last three Google Olympics Doodles were - Hurdles, Basketball, Slalom Canoe.Now it is time for the worlds most popular game to be depicted in the Olympics special Google Doodles.This Football/Soccer doodle is one of the easiest games yet from Google and you play the role of the goal keeper. To move the Goalkeeper, you need to move the right and left arrow keys and to jump to save the goal, you need to press the space-bar.See if you can make the record top score in this Google Olympics Football/Soccer Doodle game.